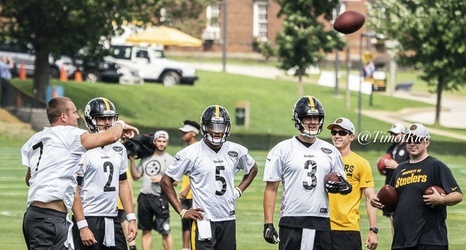 If there was a ‘winner’ among the quarterbacks in last night’s game for the Pittsburgh Steelers, I would be likely to award it to Landry Jones. The two other quarterbacks who participated in the game against the Philadelphia Eagles had their moments, but neither showed the poise nor consistency that one would look for in a backup quarterback. It’s still a long way to go, of course, but neither Joshua Dobbs nor Mason Rudolph showed last night that they are on the verge of establishing themselves as legitimate NFL backup quarterbacks.